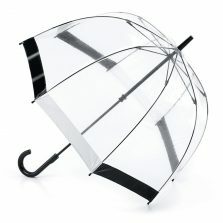 Clear Golf Umbrella Black - Umbrellas & more from Umbrella Heaven! We love to come up with stylish umbrellas which demonstrate subtle design elements, giving you the opportunity to own innovative, high quality umbrellas. Scroll down for more info. 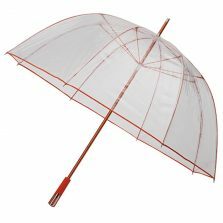 The See-Through Deluxe range are exceptionally high quality dome umbrellas and firm favourites up here. This full body clear golf umbrella has a simple, functional design and is wonderfully different to the others you’ll see on the High Street. Actually we’re not really sure if “dome” umbrellas is the right description for these. They really are more of a golf size umbrella. 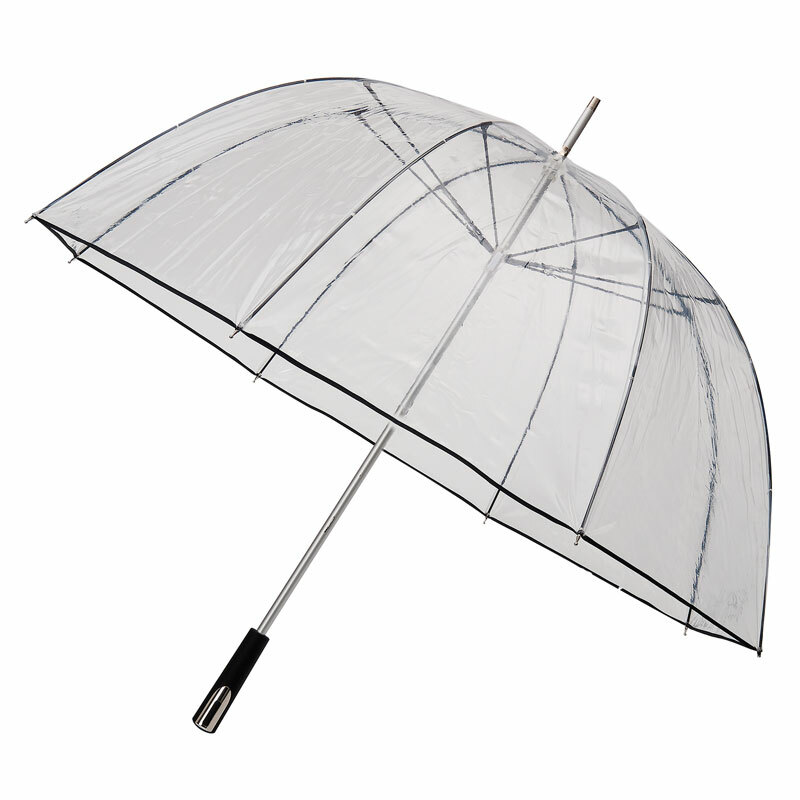 Bit of a hybrid – half clear dome umbrella, half clear golf umbrella. This See-Through Deluxe clear golf umbrella features a sturdy, metallic, colour coordinated, 14 mm diameter, aluminium shaft combined with fibreglass ribs colour coded to match the hem, metallic top ferrule and polished chrome trimmed, coloured handle. Photographs really don’t do these clear golf umbrellas justice – you need to touch them and hold them to appreciate just what quality umbrellas these really are. This full body clear golf umbrella is just so gorgeous, yet strong, solid and practical. Overall length is 102 cm and the canopy is a generous 104 cm across. Weight 700 g approx. The only problem now is… which colour to order? With a clear golf umbrella… you can keep dry and simultaneously see where you’re going. Brilliant! This clear golf umbrella will always match your outfit. It’s simple and it works quite well with several colours. A PVC canopy also allows two-way operation. It’s true! You can see out and ordinary people can see you, without the need for any expensive X-ray equipment. Truly this PVC fella is a technological marvel. So your next step is to press the “add to basket” button without delay and join the see-through umbrella revolution before it’s too late! Is this clear golf umbrella not the one for you? 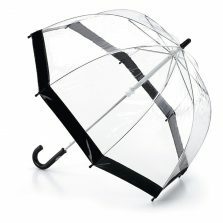 Check out the rest of our range of quality see through clear umbrellas!